CD-42 5678 is located about 36.4 light-years from Sol. Too dim to be perceived with the unaided Human eye, it lies in the western part (9:51:7.05-43:30:10.03 ICRS 2000.0) of Constellation Vela, the Sails -- southeast of Psi Velorum; southwest of the Eight Burst Nebula or Planetary; northwest of Mu Velorum; north of Phi Velorum, east of Suhail (Lambda Velorum); and northeast of Regor (Gamma2 Velorum), Avoir (Epsilon Carinae), Aspidiske (Iota Carinae), Markeb (Kappa Velorum), and Delta Velorum . 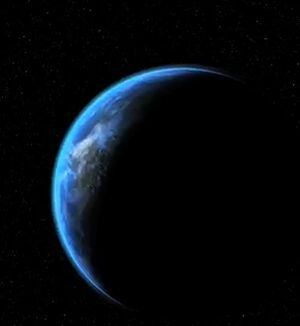 On August 17, 2011, astronomers associated with the High Accuracy Radial velocity Planet Searcher (HARPS) instrument at the European Southern Observatory (ESO) uploaded a pre-print that revealed the discovery of a super-Earth of around 3.6 Earth-masses in a potentially habitable zone orbit around this star (ESO science release; Pepe et al, 2011; and Kaltenegger et al, 2011 -- more below). HD 85512 or Gl 370, however, was probably first catalogued as CD-42 5678, in a visual survey of southern stars begun in 1892 at the Astronomical Observatory of Cordoba in Argentina under the direction of its second director John M. Thome (1843-1908). Thome died before the completion of this southern sky atlas in 1914, when 578,802 stars from declination -22° to -90° were published as the Cordoba Durchmusterung ("Survey"). The "CD" is an extension of an older catalogue by Friedrich Wilhelm August Argelander (1799-1875) in 1863 on the position and brightness of 324,198 stars between +90° and -2° declination that were measured over 11 years from Bonn, Germany, made with his assistants Eduard Schönfeld (1828-1891) and Aldalbert Krüger (1832-1896), which became famous as the Bonner Durchmusterung ("Bonn Survey") abbreviated as BD. The BD and CD were greatly expanded and extended into the modern age of photographic surveys with the subsequent creation of the Cape Photographic Durchmusterung from South Africa. HD 85512 is an orange-red main-sequence dwarf star of spectral and luminosity type K5 V. The star may have 69 percent of Sol's mass (Pepe et al, 2011; and Kaltenegger et al, 2011, Table 1), around 76 percent of its diameter (NASA Stars and Exoplanet Database, derived from the power law formula of Kenneth R. Lang, 1980), and 12.6 +/- 0.8 percent of its theoretical bolometric luminosity (Pepe et al, 2011; Kaltenegger et al, 2011; and NASA Stars and Exoplanet Database; and Kenneth R. Lang, 1980). The star appears to be nearly 47 percent as enriched as Sol with elements heavier than hydrogen ("metallicity"), based on its abundance of iron (Pepe et al, 2011; and Kaltenegger et al, 2011, Table 1). It may be around 5.61 +/- 0.61 billion years old (Pepe et al, 2011; and Kaltenegger et al, 2011, Table 1). Compared to our Sun, Sol, HR85512 rotates relatively slower at 47.13 +/- 6.98 days (Pepe et al, 2011; and Kaltenegger et al, 2011, Table 1). Useful catalogue numbers and designations for the star include: Gl 370, Hip 48331, HD 58812, CD-42 5678, CP(D)-42 4101 SAO 221544, LHS 2201, LTT 3617, and LPM 331. Estimates based on one type of model calculations performed for the NASA Star and Exoplanet Database indicate that the inner edge of HD 85512's habitable zone could be located around 0.295 AU from the star, while the outer edge edge lies around 0.591 AUs. 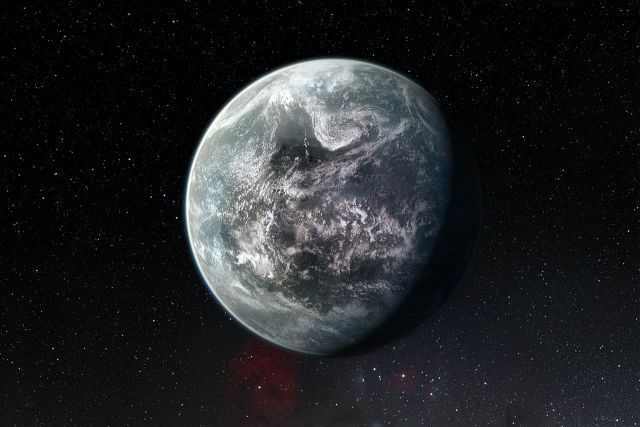 Additional analysis of climate models, however, suggest that the inner edge of the habitable zone can be extended inwards towards HD 85512 with sufficient cloud cover and other atmospheric considerations (Kaltenegger et al, 2011). The orbital distance from HD 85512 where an Earth-type planet may have liquid water on its surface is centered around only 0.418 AU from this relatively dim star-- inside the orbital distance of Venus but just outside the orbital distance of Mercury in the Solar System -- where a planet probably would have an orbital period of about 221 days or near 61 percent of an Earth year. 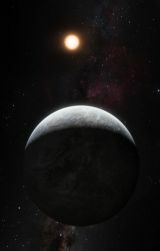 On August 17, 2011, astronomers associated with the High Accuracy Radial velocity Planet Searcher (HARPS) at the European Southern Observatory (ESO) uploaded a pre-print that revealed the discovery of a super-Earth of around 3.6 +/- 0.5 Earth-masses in a potentially habitable zone orbit around this star (ESO science release; Pepe et al, 2011; and Kaltenegger et al, 2011). The planet completes an orbit around HD 85512 in 58.43 +/- 0.13 days at an average distance of 0.26 +/- 0.005 AU in an mildly elliptical orbit with an eccentricity e = 0.11 +/- 0.10 (Pepe et al, 2011; and Kaltenegger et al, 2011, Table 1). 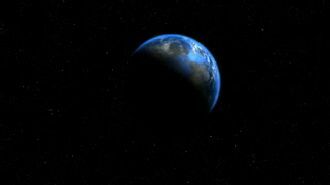 This orbits places the planet near the inner edge of its host star's habitable zone, where liquid water could exist in liquid form under favorable conditions such as an albedo of 0.52 with an orbital eccentricity of 0.11 and more than 52 percent cloud cover under a sufficiently dense atmosphere of water, carbon dioxide, and molecular nitrogen like Earth's (Kaltenegger et al, 2011). The following table includes all star systems known to be located within 10 light-years (ly), plus more bright stars within 10 to 20 ly, of HR 85512. Up-to-date technical summaries on these stars may eventually be found at: Jean Schneiders's Extrasolar Planets Encyclopaedia; the Astronomiches Rechen-Institut at Heidelberg's ARICNS; the NASA Stars and Exoplanet Database, and the SIMBAD Astronomical Database. Additional information may be available at Roger Wilcox's Internet Stellar Database.